You are invited to express your interest in appointment to the newly-created part-time position of General Manager of the Australian Science Communicators (ASC). Location: anywhere in Australia with broadband internet access. Committee meetings held via Skype. The ASC is a professional body representing and supporting some 500 science communicators working in a wide range of roles. The ASC organises a variety of social and professional development events to allow its members to both mingle and learn, maintains a website, email lists for posting and a monthly electronic newsletter and stages National Conferences. The ASC enjoys a high profile in the science communication community and a strong relationship with relevant programs of the Commonwealth Government. The General Manager will be responsible for the external relations of the ASC, including management of externally funded projects (such as those linked to the Inspiring Australia initiative), liaison with Government and with organisations that share its objectives, and delivery of National Conferences. The General Manager will report directly to the President of the ASC, and will work in parallel with the already-appointed Executive Officer who is responsible for internal administration and member value. The appointment will be for six (6) months in the first instance but can be renewed subject to satisfactory performance. Remuneration will be calculated on the basis of one day’s work per week as a stipend but there will be opportunities for additional remuneration based on performance in certain areas. · Substantial experience in science communication, including awareness of the nature and activities of the Australian science communication community. · Strong administrative, relationship management and negotiation skills. · Experience in interaction with Government agencies. · Experience in the staging of conferences. · Manage a range of externally-directed projects intended to raise the profile and impact of the ASC in the science communication and wider communities. · Secure of additional revenue for the ASC through sponsorship or by the initiation of new externally-funded projects. · Build and sustain relationships with other relevant organisations, including Government. · Lead the staging of National Conferences. · Report regularly or as required to the President and the National Executive on progress and initiatives. · Attend meetings of the National Council and National Executive. · Work cooperatively with the Executive Officer. Over the six month contract the remuneration will be $300 per week. Applications for appointment to this position, addressing all criteria and accompanied by a CV and references, must be received by the Executive Officer, Kali Madden, office@asc.asn.au, by 28 June 2013. The employment contract which contains the complete list of duties, details of remuneration and performance bonus is available on request from Kali. It is anticipated that the appointment will commence in late July 2013. Will Grant, ASC Vice President, will.grant@anu.edu.au, may be contacted to discuss the position. Email enquiries are preferred for an initial enquiry. 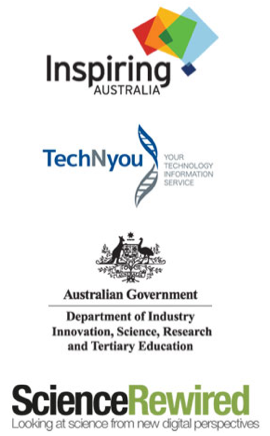 Inspiring Australia, TechNyou and ScienceRewired are excited to announce a 2-day hands-on summit to map out the next challenges for science communications in Australia and to collaboratively address best-practice solutions. Bringing the country’s leading science communicators, innovators, science journalists, decision makers and educators together, the summit is an opportunity for participants to individually and collectively compare, shape and influence their science communications directions and activities. While cleaning up after your dog, have you ever thought, ‘What a waste of perfectly good dog waste!’? Probably not, but Duncan Chew has. Self-described ‘dog poo entrepreneur’ Duncan Chew was among the recipients of an Inspiring Australia grant in 2012. His project, Poo Power!, uses science to address the issues of how can our cities and communities live more sustainably, and further what do we do with the 1,350 tonnes of dog waste produced in Australia annually? The answer is to light the world (or at least urban parks of Melbourne) with Poo Power! The project will see a series of biogas generators turn dog waste into energy for lighting up Melbourne parks, at the same time as engaging audiences on the issue of ‘what is waste?’, and the potential opportunities posed by reassessing waste management practices. So, as part of the Sustainable Living Festival, Duncan Chew and Melbourne filmmaker James Boldiston will be presenting on the project and its various arms at noon on Saturday 16 February 2013 in ‘The Big Tent’ at Federation Square. And as part of the wider State of Sustainability program, a second Poo Power! event will be held at Village Rivoli Cinemas on Thursday 21 February 2013 at 6:30pm, where James Boldiston’s humorous documentary, Dog Poo: The Truth at Last, will receive its Melbourne premiere. Full event details and ticketing are available at www.poopower.com.au . For more information about Poo Power! or for media requests, contact the team at info@poopower.com.au . This Inspiring Australia initiative is supported by the Australian Government through the Department of Industry, Innovation, Science, Research and Tertiary Education in partnership with the Yarra Energy Foundation. Inspiring Australia is pleased to announce that first-stage nominations for the 2013 Prime Minister’s Prizes for Science are now open. The Prime Minister’s Prizes for Science is a core component of the Inspiring Australia program designed to inspire a sense of national pride by promoting activities that recognise and reward the achievements and successes of Australians in the science and science teaching. The Prime Minister’s Prize for Excellence in Science Teaching in Secondary Schools (A$50,000). In addition to the prize monies, each recipient will also receive an award certificate and a medallion with lapel pin, presented at a black-tie dinner in the Great Hall of Parliament House. Past recipients of the Malcolm McIntosh and Science Minister’s Prizes are eligible to be nominated and considered for Prime Minister’s Prize for Science award, subject to eligibility criteria being met. For the Malcolm McIntosh and Science Minister’s Prizes, nominees must have achieved outstanding research results within a full-time equivalent research career of ten years, including research conducted as part of studies for a Master’s degree or PhD. In recognition for the schools associated with the winning science teachers, the A$50,000 cash component of the Science Teaching Prizes will be share equally between the prize recipient and the school in which the prize recipient was teaching at the time of nomination. The school’s share of the monies must be used to finance a project or projects that will improve the school’s capacity to teach science. Nominations for all five Prizes will be conducted in two stages, a first stage simplified submission with those shortlisted nominees then invited to submit a detailed nomination as part of the second stage. Nominations for the 2013 Prizes close 14 March. See http://www.innovation.gov.au/scienceprizes or email pmprize@innovation.gov.au for further details. Australia needs engineers but where will they come from? Inspiring Australia is looking for answers by funding programs which aim to attract the interest of Australian students. Here is an update about two of these programs. It is well-known that Australia is experiencing a skill shortage in relation to engineers, and that Australian industry, and the economy as a whole, are and will continue to be affected by this shortage unless the trend is reversed. Establishing pathways to tertiary careers in engineering is fundamental in addressing the skills shortage. Inspiring Australia, the national strategy for science engagement, is playing a part in addressing this issue through awarding $710 000 through its Unlocking Australia’s Potential grants for projects working to promote engineering as a career path. With partnering organisations contributing a similar amount, the projects are providing over $1.4 million dollars towards encouraging engagement with engineering science. Science Rocks on the Road is an outreach project which provides hands-on demonstrations and activities to improve awareness, understanding and interest in mining-related science. The project has been developed, with assistance from educators and input from volunteers across all science disciplines, and conducted workshops and events focusing on engaging school students in science. Robogals conducts robotics workshops in high schools with the aim of promoting engineering careers, particularly to female students. The activities engage students in a range of engineering topics in a fun and creative way. Additionally the workshops include a brief introduction to the different types of engineering, and how engineers impact our daily lives. Through these and other projects, Inspiring Australia is working towards not only to address one of the key issues of the Australian economy, but at the same time is ensuring that even those who choose not to pursue a career in engineering have a level of appreciation and understanding of the contribution science makes to the Australian economy and to everyday life. This update from Inspiring Australia is initiative is supported by the Australian Government through the Department of Industry, Innovation, Science, Research and Tertiary Education in partnership with the Australian Science Communicators. The ASC branches were again very active in 2012, holding 42 events across Australia. Members were able to attend all events for free or at substantial discounts. The pdf (link below) has information about each of these events and provides a bank of ideas for those of you wanting to organise an event. Redmap started as a citizen fishers and divers science driven project in 2009 to map the distribution of fish species, and to track any changes, in the waters around Tasmania. Started by the University of Tasmania, the web-based project and has grown quickly. With support from Inspiring Australia and many new partners it has now has launched itself Australia-wide. The new states haven’t recorded sightings yet but you can explore the website for images of species being sought in each region. I wonder how many ASC members are fishers and divers and whether they have comments about this or related projects. SEEN SOMETHING FISHY LATELY? LOG UNCOMMON FISH ON WWW.REDMAP.ORG.AU! With today’s launch of the Redmap Australia website, and support from ‘Inspiring Australia’, the community is being asked to be on the lookout for unusual occurrences of species in the seas around Australia. Redmap encourages fishers and divers to report sightings and upload photos of marine life that aren’t usually found at their local fishing, diving and swimming spots. These community sightings will help reveal whether fish are ‘shifting their range’ in search of cooler waters, as seas become warmer with a changing climate. The website, also known as the ‘Range Extension Database and Mapping’ project, started in Tasmania in 2009. Already Tasmanian fishers and divers have logged hundreds of unusual sightings including eastern rock lobster, southern Maori wrasse and King George whiting, all spotted further south than their usual home turf. Redmap Australia takes this concept national, with a large collaborative project led by the Institute for Marine and Antarctic Studies (IMAS) at the University of Tasmania. Considering some 3-4 million Australians go fishing or diving at least once a year, Redmap will tap into the observations of potentially thousands of ‘citizen scientists’. Redmap is interested in reports of any marine life deemed uncommon along your particular stretch of the coast; and not just fish but also turtles, rays, lobsters, corals, seaweeds, urchins and prawns. Photos are reviewed by a network of marine scientists around the country to verify the species identity and ensure high-quality data. Redmap aims to become a continental-scale monitoring program along Australia’s vast coastline to help track marine range shifts; but also to engage Australians with marine issues using their own data. “We hope to create a network of fishers and divers that are driven to finding out how fish are impacted by changing conditions, like ocean warming, by contributing to this knowledge,” said Dr Pecl. The Redmap website encourages members to share photos and anecdotes. It also has information and news on fishing, diving and the marine environment. Everyone can comment on the latest sightings of critters spotted away from their usual marine postcode and a smart phone application will be up and running in 2013 to make logging an unusual fish that much easier. Redmap supports the Australian Government’s Inspiring Australia strategy, which aims to boost science literacy and teach the value of science in caring for our environment. For marine ecosystems, this encourages the healthy use of our seas so we may all continue to enjoy the marine environment and marine recreational activities. Each Redmap sighting is a piece in a puzzle that over time will reveal to the community, scientists and industry which species or regions may be experiencing greater changes in marine distributions. And the sooner Australian fishers, divers and the public help gather this information, the better. Some seas along the coast of Australia are warming at 3 to 4 times the global average. Turning up the heat tends to stress marine ecosystems and species, and can impact fish growth, reproduction and behaviour. Associate Professor Natalie Moltschaniwskyj is a marine ecologist in the School of Environmental & Life Sciences at the University of Newcastle and is the coordinator of Redmap NSW. Already anecdotal evidence from fishers and divers have pointed to some range shifts. Associate Professor Moltschaniwskyj said they’re hearing about more tropical fish venturing into Sydney like damsel fish and angelfish species. Her team will track some 60 species through the Redmap project including butterfly fish, painted crayfish and tropical wrasses. “Gathering many sightings over time will show if these fish are here to stay, one-off visitors or just seasonal migrants,” she said. Professor Colin Buxton, Director of the IMAS Fisheries, Aquaculture and Coasts Centre, said Redmap was a wonderful example of how the community and scientists can work together to understand how climate change is affecting our oceans and to help manage this uncertain future. “This information will allow some communities to take advantage of new fish arrivals and will help others minimise risks such as the introduction of pest species for those fisheries or regions that may be more impacted by species on the move,” Professor Buxton said. All Australians can get involved by becoming a Redmap member, signing up for our quarterly newsletter, liking us on Facebook, and logging unusual marine animals at www.redmap.org.au. Redmap is a large collaborative project led by the Institute for Marine and Antarctic Studies (IMAS) at the University of Tasmania, and involves the University of Newscastle, James Cook University, Primary Industries and Regions SA (PIRSA), Museum Victoria, Department of Fisheries Western Australia, the University of Adelaide and the South East Australia Program (SEAP). The expansion of Redmap nationally was made possible with generous funding from an Australian Government Inspiring Australia grant, the Australian National Data Service (ANDS) and the Department of Agriculture, Fisheries and Forestry (DAFF) . Redmap also receives support from Mures Tasmania and many fishing, diving and community groups around the country. The 2012 AGM voted in favour of the proposed amendment to the Constitution regarding a detail of Corporate membership. The updated Constitution showing all the changes since it was adopted in 2003 can be viewed in this link.